Sam Greenwood/Getty ImagesTiger Woods put together a stellar opening round at the Bridgestone Invitational on Thursday to finish the day just a few strokes off the lead. Tiger Woods had his putter working during the first round of the Bridgestone Invitational, shooting a 4-under 66. Woods has won the tournament at Firestone an astounding eight times – more than any other golfer has ever won a tournament at a single course. 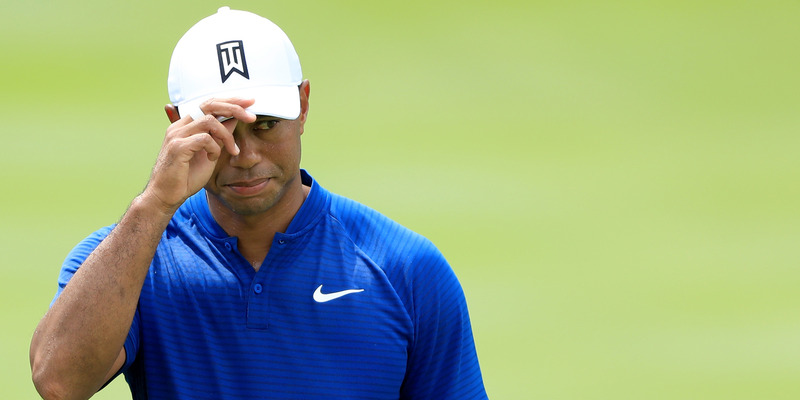 With this being the last year that Firestone hosts the tournament, it would be a fitting end to see Tiger complete his comeback at one of his most dominant courses. Tiger Woods has been threatening to win another tournament and fully announce his comeback for some time. With his impressive play at the Open Championship, Woods showed the golf world that there is no doubt he is ready to take home another trophy sometime soon, and this weekend at the Bridgestone Invitational just might be his moment. Woods has won the Bridgestone Invitational a whopping eight times – a PGA Tour record for most victories on the same golf course by one player. It’s also the last tournament Woods won before his back issues forced him out of the sport for a few years. On Thursday, Woods showed that he still had a mastery of Firestone Country Club, putting up a first round score of 66 that would leave him tied for 14th and just a few strokes off the lead. His most impressive play came on the greens – after starting his day on the 10th tee, Woods sent home a massive putt on the 18th green that got the crowd going as he finished his first nine holes bogey-free with three birdies. A birdie from WAY downtown for Tiger Woods! Woods would keep the momentum going through the second half of his round, with another impressive shot on the No. 7 green to put him just two strokes off the lead. Woods would shoot bogey-free all through the round before finally stumbling on his last hole of the day. But even with the blemish, it’s clear that with his putts falling on a course he’s dominated more than any other in his career, Woods is ready to be a contender this weekend. His putter was a vital part of his game on Thursday, as Woods hit just 7 of 14 fairways but was still able to finish the round amongst the top of the pack. Other big names are scattered across the leaderboard, with Rickie Fowler, Marc Leishman, Rory McIlroy, Jason Day, Justin Thomas and more all putting up impressive rounds. It should make for an exciting weekend, but with this being the last year that Firestone hosts the tournament, it would be a fitting end for Woods to finally get the win the golf world has been waiting for as a last hurrah.